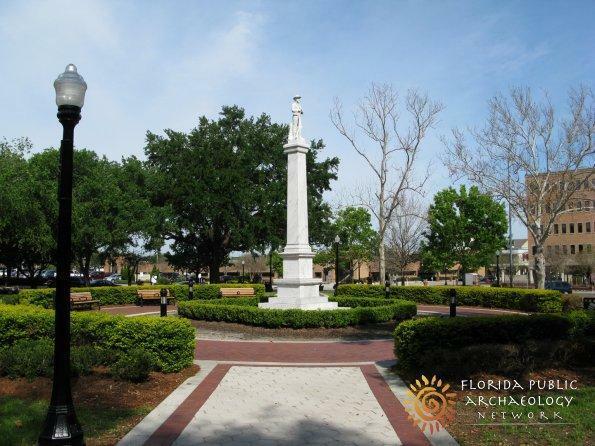 A monument to Confederate General Robert E. Lee has been moved from Lakeland's Munn Park. A statue of a Confederate soldier is being removed from Lakeland's Munn Park, after standing at the center of the park for 109 years. City officials began dismantling the monument Friday. Lakeland city commissioners voted in December 2017 to start the process to move the statue after receiving complaints from residents. In November, commissioners approved funding the $150,000 cost of moving the statue with citations issued as part of the city's red-light camera program.